Tan Family Chronicles: Loving our Spot in Jurong! We love the fact that we're so near many parks. 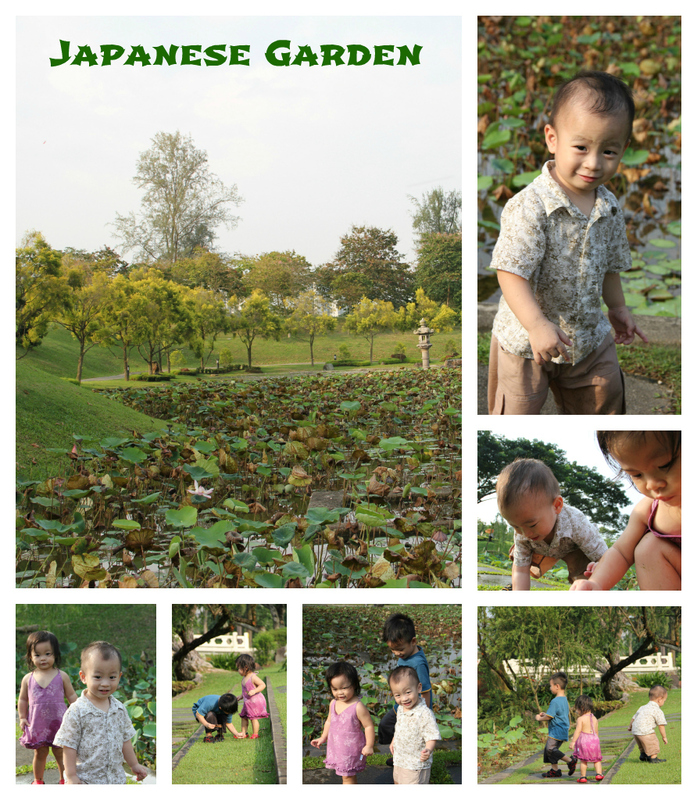 The Chinese Garden, the Japanese Garden, the Jurong Lake Park, the Jurong Central Park. Sometimes we just go for a walk, sometimes we bring the bicycles, and sometimes we go fly a kite - or watch others fly theirs. It is invigorating to just walk in the open, soak up the sun and smell the fresh air. Oh, and we must dispel the myth that we have bad air in Jurong. In further out Tuas where the factories and industrial area is, perhaps. But not where we are. Yes, we do get a whiff of chocolate in the air during certain times of the year when the wind direction blows a particular direction, but it's mild and not annoying. Sometimes, when people hear that we live in Jurong West, they ask us if the air is very polluted. I was quite shocked (and a bit insulted) when I first heard that question, coz it never occured to me that the air here is polluted, as we are quite a distance away from the heavy industrial areas.. So, when we go to other parts of Singapore, I always take a sniff of the air, and I objectively can't say that the air in other parts of the island is any worse nor any better than the air we have in Jurong. We do get aeroplanes flying right above our estate though. The kids love it. Everytime they hear the plane/s go, they rush to the window to see the aeroplanes go by. Apparently, we lie right in the flightpath of army planes landing in the Tengah Airbase at nearby Old Choa Chu Kang Road. Once, when we drove by there, we saw an army plane landing, the kids were ecstatic. 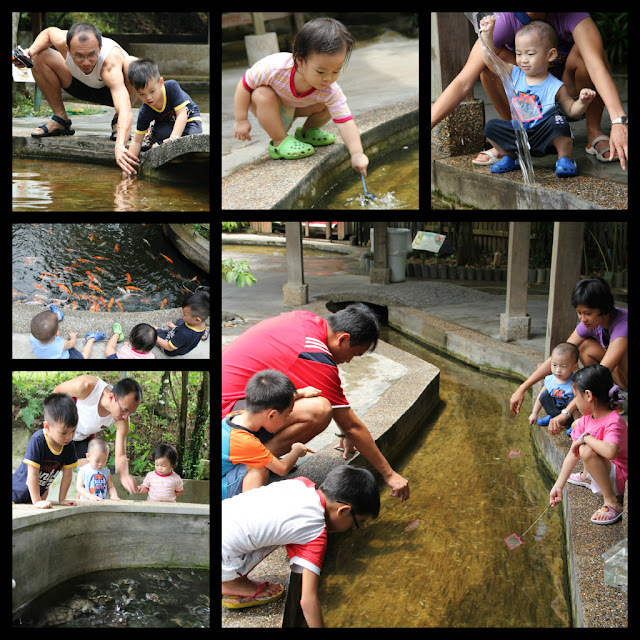 Off Old Choa Chu Kang Road, near the Tengah Airbase, is the Qian Hu Fish Farm where you can tour the farm where they rear fishes, or you could go fishing for tiny fishes, feed fishes, and feed turtles. It's great fun, though the next time we go back, we'd try to discourage the kids from doing any fishing - it seems like a very traumatic experience for the poor fishes! Now, this above, is one of the hidden secrets of the west. Many people (who don't stay in Jurong) whom I've mentioned this to - doesn't know about this. This place is the Jurong West public pool. It's got this nice kids play area, this humongous long blue slide which you have to climb up I think 10 metres to get to, and it has a Lazy River which has a current that you can cruise in! 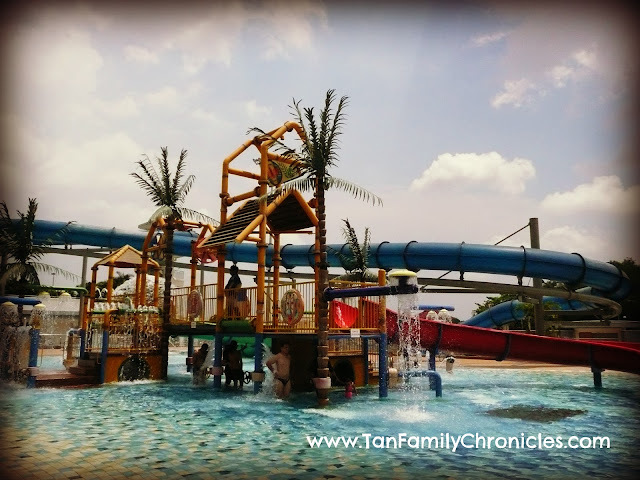 And the best part is, adult fees are only $2 on weekends and $1.50 during weekdays! Kids even cheaper! There is also the Science Centre, the Omnimax Theatre and the Snow City in Jurong East. Science Centre has some outdoor grounds with simple hands on stuff that you can learn science. And they have a mini water play area too. I love going to the Science Centre shop as well, has pretty cool stuff! We love Jurong so much, that we're self-professed Jurong Turtles. With the ever expanding Jurong Point, revamped IMM and born again JCube (used to be known as Jurong Entertainment Centre), Jurong is very much self-sufficient. This will be very much so especially when the Jurong General Hospital is completed. Furthermore,with the plans for the Jurong Lake District, we have exciting times ahead! Hurrah for Jurong! This post is part of the fantastic Loving My Spot series mooted by Sarah of The Playful Parents. Here, we bloggers declare to the world why we love the part of Singapore we live in, in a lead up to Singapore's National Day, 9th August. A celebration of love! I stay near these parts and I didn't even know! Now must go visit that Jurong West Public Pool! Thank you for being part of my blog train kove party! Your love for Jurong is so precious. Wow! Jurong W is so happening? I had no idea it was self-sufficient as you see I am a Tampines turtle! The pool where you live is amazing!!! Like the one at the zoo only nearer! Btw I studied at NTU for a good 2 years PT and I tell you what I remember about that area- the choking, strangling cocoa smell! Bleah! Hahah... But all that Gross memories of it is easily chased off by my memories of shiok hokkien Mee at the food court at the shopping centre at Boon Lay MRT and the lovely greenery of that far flung campus. My parents live v near the Jurong West pool. Sadly it came up after I had gotten married and moved out, so I never really got to enjoy it! My parents bring the kids over to the track quite a bit for a run around when they are there, or to the indoor playgym at Safra Pioneer which I heard is pretty good.